Well, it depends. Not always. In Tennessee, if you die with or without a will owning joint property then the property will usually be automatically owned solely by the surviving owner upon your death. If spouses own their home, cars, bank accounts, etc. 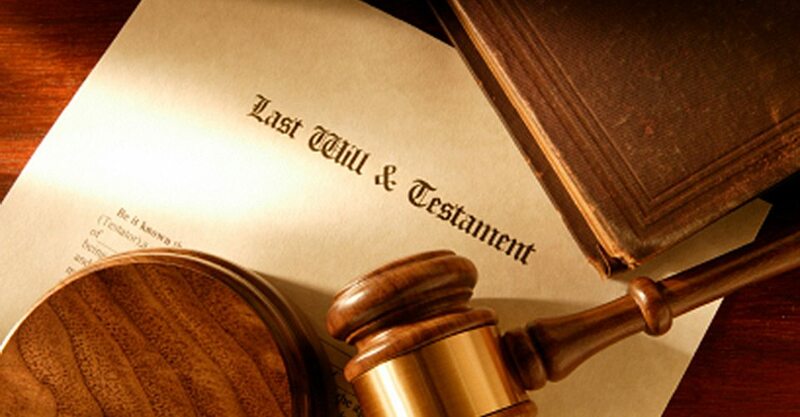 jointly, which is usually the case, upon the first person’s death the other will own everything with or without a will. If, however, any assets are solely owned by the deceased and there is no will to designate otherwise, upon their death the assets will be divided amongst the children and the surviving spouse, if any. If there are no children then the assets will all go to the surviving spouse. Conversely, if there is no surviving spouse then everything will be equally divided between the children. If no children then it will go to the deceased’s parents. If no parents then to siblings. It goes on for a while. It’s called the line of consanguinity. If someone wants to do anything with their assets upon their death other than what is set out above then they should consider a will. It doesn’t have to be complicated. It surprises me when some people contact me convinced they need a “living trust.” Maybe they read about it on the internet or their uncle told them that’s what they need. A living trust is unnecessary in almost every case, at least in Tennessee. Some are convinced that they can avoid the probate process with a living trust, which is usually not the case in Tennessee. Perhaps a later blog can discuss what probate is and the process if anyone is interested. A will is simple and will give you everything you need. A trust can be set up in a will for a designated trustee to hold any property inherited by minor children or until someone reaches a certain age, graduates from college, or any other conditions you feel are appropriate. You can also designate who you wish to have custody of your child(ren) in a will in the unfortunate event that both parents die. Some may want to consider estate planning if they have an extraordinary amount of assets for tax purposes. Tennessee no longer has an estate (death) tax. The federal government still does, but only if the assets exceed $5.49 million if you die in 2017. It will be different in subsequent years. There are some exceptions to this, such as if non-married parties own real property as tenants in common, which allows the owners to designate beneficiaries of their respective interests in the property upon their death in a will. How much the surviving spouse receives can depend upon the length of the marriage under the elective share statute, but I won’t get into the details of that here.